Do you think your room lacks the color that would make it a very interesting and exciting place? You can add flare to your room by putting wallpaper. Wallpapers can be used to lighten up a room. It can beautify a gray and seemingly gloomy space. 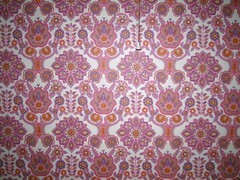 Although some people think that putting wallpaper is a simple task, in reality, it is not as easy as they think it is. Putting wallpaper is also an art. You have to be very creative and at the same time you should be skillful in performing the task. To guide you in putting wallpaper, below are the steps that you should follow. Shop for the wallpaper that you like to put on your wall. In this first step, you really have to use your creativity. There are lots to consider when looking for the perfect wallpaper. One is the impression that you want your room to exude. If you want to give an impression that the owner of the room is outgoing, you should choose a sunny shade. However, if you want to give a solemn and serious ambiance, you should opt for one with darker shades such as purple or violet. For small rooms, you should opt for a design that would make it look spacious. You can also choose among the wallpapers with random pattern, straight across pattern, and those with solid colors. Step 2: Gather the materials that you will need. You have to gather all the things that you are going to use before you start working. In this way, you can do your task more efficiently. Among the needed tools are tape measure for laying out walls, scissors, paint roller for applying paste, and seam rollers for rolling out the seams of the wallpaper, and brush to remove air bubbles. Step 3: Prepare the wallpaper strips and the paste. You then have to cut the wallpaper into strips so you could easily put them on the wall. You also have to prepare the paste. You should read the instruction on the label on how to mix the substances in making paste. You have to use the paint roller in applying paste on the wallpaper. Make sure that you apply it evenly and neatly. It is best if you do this on a long wallpapering table. Step 5: Lay out the wallpaper on the wall. In doing this, you have to start at the top edge and use a ladder for this job. For patterned wallpaper, make sure that the position of the strips complement each other. You should then brush the surface to remove air bubbles and wrinkles. Maximizing Closet Space – Organizing things at home and other home-related works. Cleaning Your Refrigerator – How to organize things are home. Organizing Closet – On putting things at home properly. Home Decorating Ideas – Making arrangements to make your home more beautiful. Wallpapers for iphones – All about the different types of wallpapers for decoration purposes. Perfect Home – On how to make your home a very attractive place. Home Decorating Ideas – Tips on making your home beautiful and attractive. You can use a removable wallpaper especially for your children’s room, in case they would like different wallpaper when they grow up. Removable wallpaper is breathable. You don’t have to worry about dampness building up or any mildew troubles. Setting up is also easy since you can only hang a sheet and post it on your wall. If you are not satisfied with it, you can just peel back a curve and pull. The whole sheet can be detached without a dent to your wall. What kind of adhesive is used in applying a wallpaper? There are various types of adhesives that can be used to paste your wallpaper such as cellulose, wheat paste, pre-mixed vinyl clay, pre-mixed vinyl clear, “Vinyl Over Vinyl” or VOV. Cellulose is mainly used for lightweight materials such as silk and porous papers. Wheat is the most recommended flour for making wallpaper paste and is best used for blankstock lining paper and porous handprints. Today, the most commonly used adhesive in the wallcovering industry is vinyl and vinyl-coated paper since it is all-purpose and easy to strip off. However, in some cases, people use staple gun for a quick and easy alternative to put up their wallpaper. With a staple gun, though, you have to be strategical with the placement of the staples. Putting up wallpaper properly is a very tedious job. You have to consider laying it perfectly flat on the wall or it would ruin the design. Since you are using paste to stick it to the wall, it is very hard to avoid pastes on the wallpaper design. You also have to consider the measurements. Cutting it too short or too long would not look good on your wall. If you chose a printed wallpaper, make sure that you lined them up according to the continuity of the design. Don’t do this alone especially if it is your first time to put on wallpaper. It is best if you have someone to help you to make this task easier. You will be needing opinions from those who have done this several times in the past.